To a casual observer, the scene at a craps game may appear chaotic. In truth, sometimes it’s not less than a mad scramble of a dog fight with chips thrown to dealers along with barked orders of “give me this and press up that”. 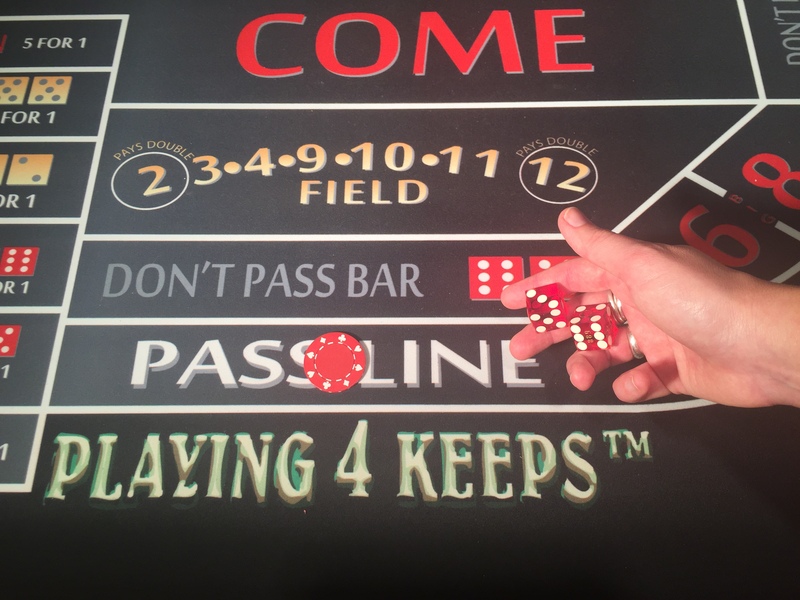 Believe it or not, there is a tight order to the game of craps and those who do not follow protocol are jamming a spanner into the spokes of the game. The prevailing energy at a craps table is the complexion made up of the players, the casino personnel and the events that occur during a game. Seemingly meaningless, little things can occur during a game, and believe it or not, a subtle shift can affect the outcome of a game. Sometimes the effect is good, sometimes it is not so good, and sometimes it does not make much of a difference. One common example of a shift in energy occurs as a result of a player’s inconsiderate actions due to a lack of knowledge or sometimes it is caused by brazen arrogance which can inevitably kill a good game. Table manners in a craps game is more than your basic social etiquette. It certainly includes “yes sir”, “no ma’am”, “thank you”, “yes please”. Good table manners are an outward expression of your energy. The way that you present yourself should project a winner’s persona communicating that you expect to be treated like a winner. Winners are always respected, and they are treated in an honorable way. Wait your turn to be paid and before giving the dealer new betting instructions. If you have a winning place bet, wait for the dealer to come to your bet before giving instructions like; “same bet, press up, take down”. Camaraderie, “high five and way to go shooter” is fun and usually okay. However, many shooters are “head down, blinkers on” kind of players and all the yahoo stuff is a big distraction from their game. Be conscious of what kind of celebrating is appropriate. We want the shooter in the “zone”. Just because it is called a craps game does not mean you get to talk crap. Profanity really is not acceptable language while at the table. Disagreements or arguments at the table are the kiss of death. Anytime you are at a table and there is any kind of aggravation, “argy-bargy”, the negative emotion swoops in, and kills the game. A particular example is a disagreement with a player’s opinion about a bet. Everyone is entitled to his or her own approach to the game. 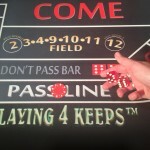 Craps is not a team sport where everyone benefits from a particular hand. It is best to keep your opinions and comments to yourself. If you really don’t like another player’s energy it is your choice to leave the game. In closing, think of the “gambler” that we see in the movies. Recall their mystique and chivalrous nature, well dressed and distinguished by their presents and command of the situation. A class act is the virtue that sets the winner apart from the everyday losers. When it comes to energy, what you express is exponentially returned. Leave your guns at home boy, take you table manners to the game son. Share the post "Table Manners"